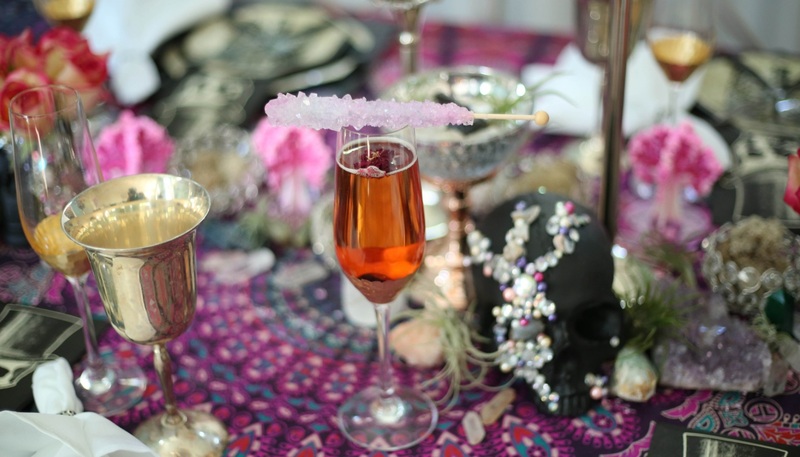 Decadent boho glam decor and vintage look Halloween tableware sets a glamorous stage for a Halloween party when paired with sparkling crystals, air plants and roses. 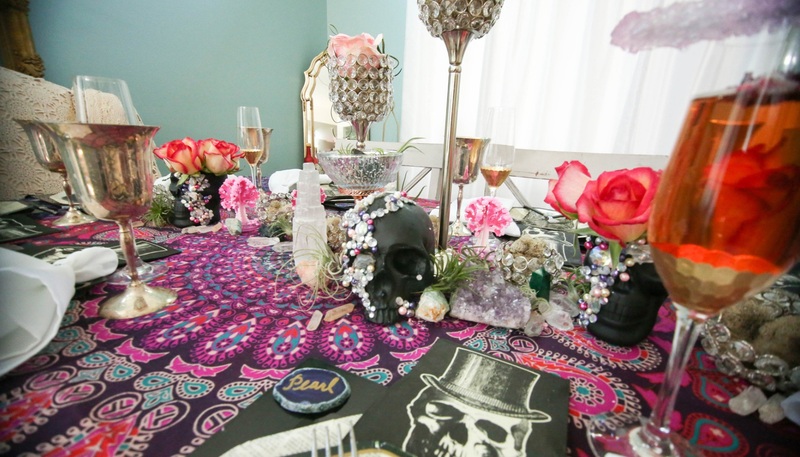 This upscale, elegant dinner party includes a stunning jewel and crystal encrusted Gazelle Skull wall hanging, Crystal Skull Centerpiece and coordinating skull vases filled with fresh flowers. Speaking of Boos, The Crystal Rose Cocktail features pomegranate tequila and is garnished with an edible red rose. Guests won’t want to leave this frighteningly festive Halloween feast! 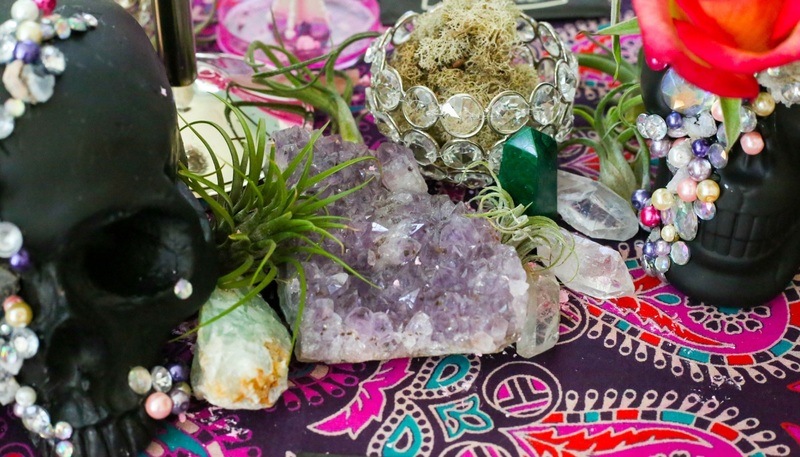 A decadent and glamorous table is set for this bohemian-inspired Halloween soiree. A bold tapestry and vintage crocheted linens welcome guests to pull up a seat and enjoy a festive, slightly frightening, evening of tricks and treats. 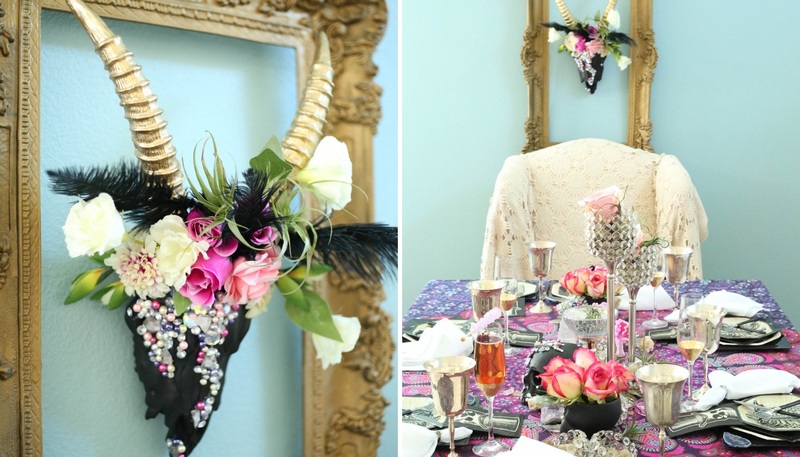 Situated above the head of the table, a sinister matte black painted Gazelle Head Skeleton takes on a glamorous visage with the addition of crystals, gems, rhinestones and silk flowers. It’s hung independently of an ornate gold frame, so that it appears to float on the wall above the table. See how you can make your own DIY Gazelle Head Wall Decor here. 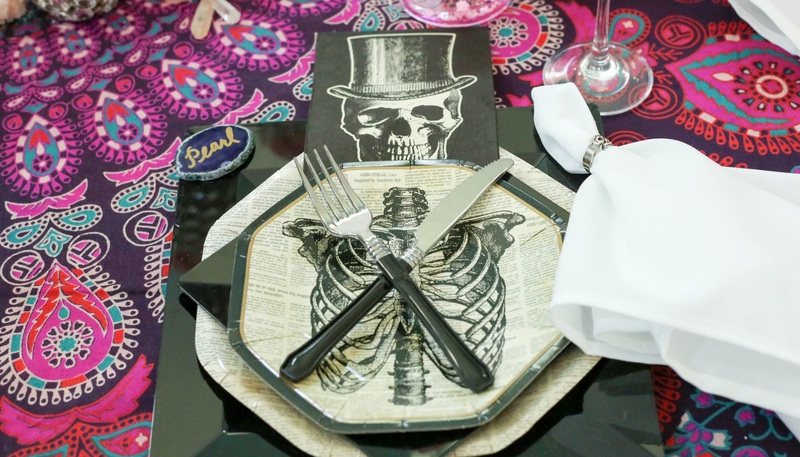 A glance at the Halloween tablescape will have guests rushing to the table to take in all of the dastardly details. Tall Crystal Bead Pedestal Candle Holdersfilled with roses lead the way to the spellbinding festivities. 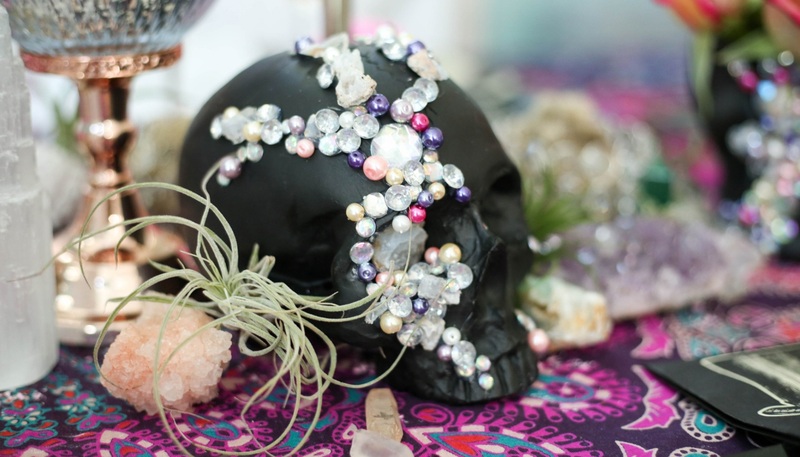 Don’t miss a spellbinding detail of this glamorous Halloween soiree. Get the shopping list and all of my tips and tricks here.